Jiangsu SunLink PV Technology Co., Ltd.
SunLink PV founded in 2004, is dedicated to be a world-leading solar module and PV power generation solutions provider. 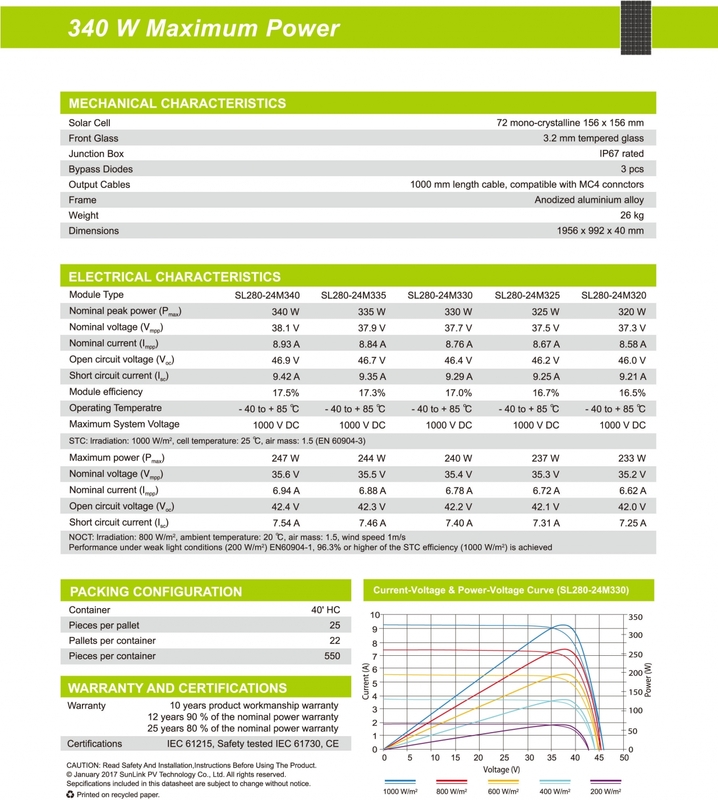 We specialize in producing high quality and high efficiency solar cell and solar module ranging from 5W to 315W both mono-crystalline and poly-crystalline. 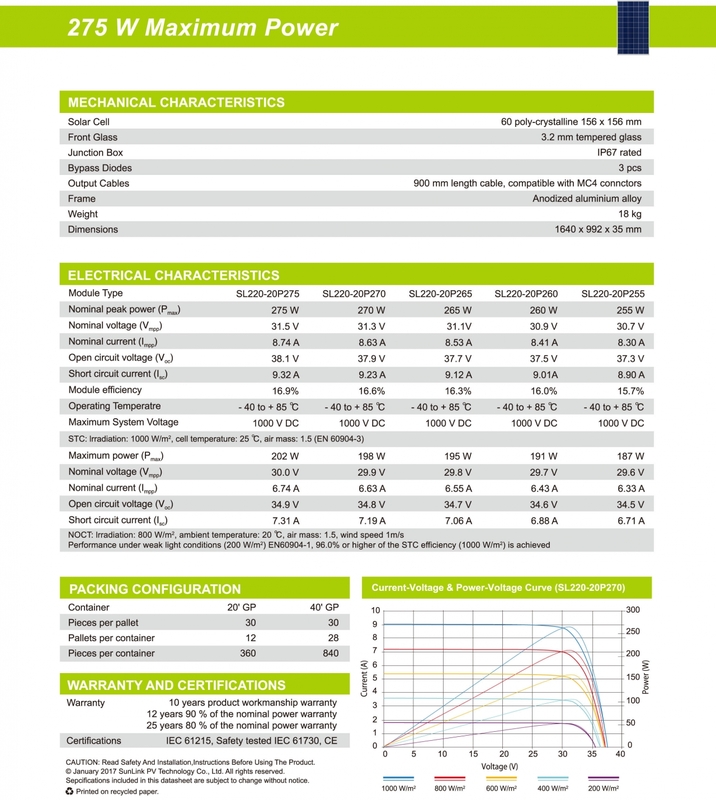 We also can provide technical consultation support for our end installers' on/off grid PV system. Our module production capacity is 500MW with 200MW solar cell production capacity. We strictly carry out ISO9001 quality management system. With our internal R&D Center, we implement strict inspections on in–coming control, process control and out-going control. 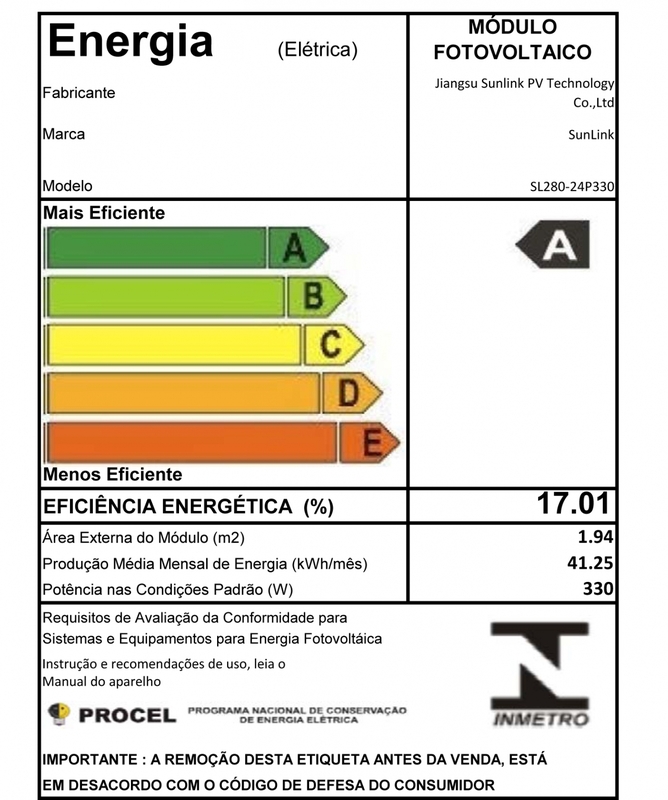 Our products had been obtained IEC 61215, IEC 61730 Ed.2, UL1703 certificates. We can provide double-warranty to our customers' Introduction, including SunLink PV’s product warranty and worldwide product liability insurance. 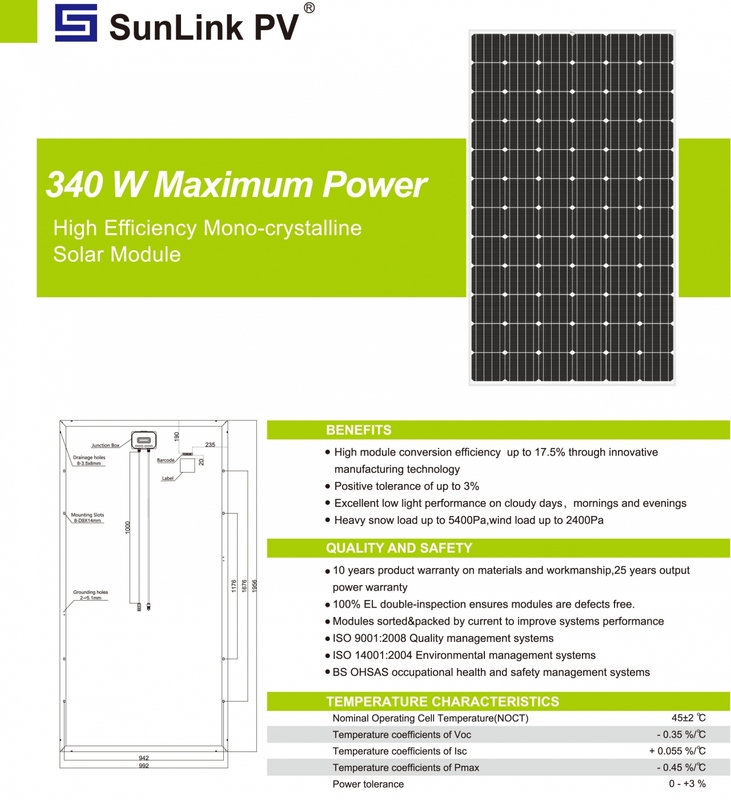 We focus on building long-term partnerships with distributors and PV integrators. Through our passionate employees and strongly cooperative R&D capabilities, we can react quickly to customers' needs with excellent and stable products and close services. 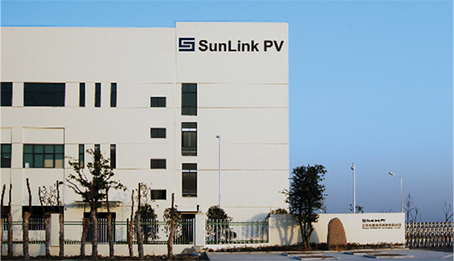 SunLink PV has been carrying out the globalized marketing and sales strategy. After over 10 years of hard efforts, we are becoming more and more internationalized. Our products and solutions have been deployed in over 20 countries and regions. We established our offices of distribution net-works in Germany, Italy, Australia, North America, South America and South East Asia, with which we can get closer with our customers, listen to them and react quickly for their needs.